Trump fired Comey who was the head of the FBI. Trump said he fired Comey for his handling of an election-year email scandal involving then-Democratic presidential nominee Hillary Clinton. This is a perfectly valid argument, but he should have done that some time ago. Removing Comey now has only raised suspicions among Democrats and the Republic Elite who both want to stop Trump from reforming anything for they like their perks as is. Worse still, this was a stupid decision that may now put in jeopardy his whole tax reform. The timing of this is really bad when it is the FBI probe that is involving Russia and the claims that his people were in contact with Putin. Some Democrats compared this move to the “Saturday Night Massacre” of 1973, when President Richard Nixon fired an independent special prosecutor investigating the Watergate scandal. Trump should have had better judgment in this matter. I question his real motives because he had plenty of time to fire Comey and should have done so for his whitewash of Hillary. 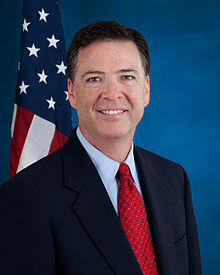 Moreover, Comey was the Assistant US Attorney in the Southern District of New York – the most corrupt judicial post in the nation. Comey always did his part in protecting the bankers. His whitewash of Hillary was interlinked with that position and should have been questioned long ago. Nevertheless, this raises concerns about Trump’s political advisers. Are they really this stupid?